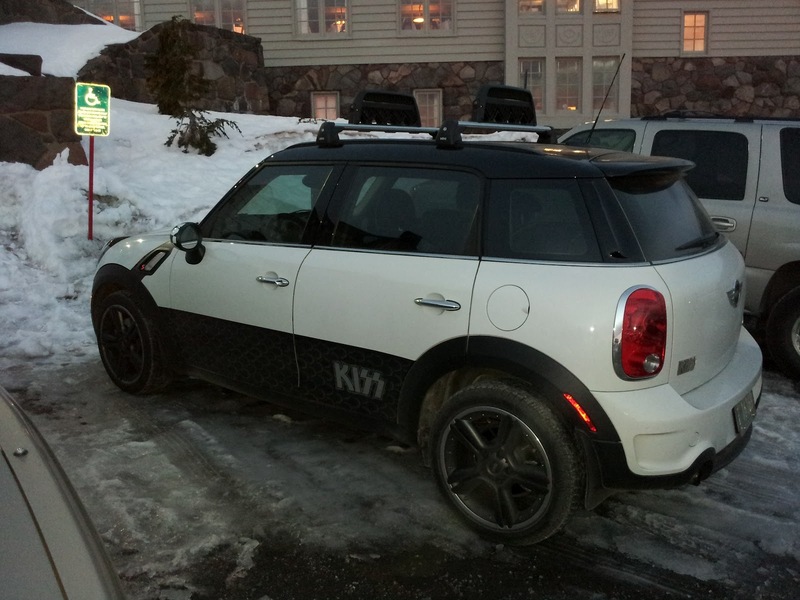 This isn't something you see everyday: a genuine KISS-edition MINI Cooper Countryman. I don't know if this is one of the MINIs that was auctioned off or if it was a custom job. I wonder if there are any Gene Simmons inspired options? Maybe a huge tongue that comes out of the hood scoop? Maybe some some Paul Stanley chest hair seat covers? It was spotted at Timberline Lodge in late January, but I'm just posting it now.